This week has been “Get Christmas Decorations Up” week. That, and, I’m sick… again. So not a whole lot of baking or cooking going on, but we have gotten a lot accomplished. 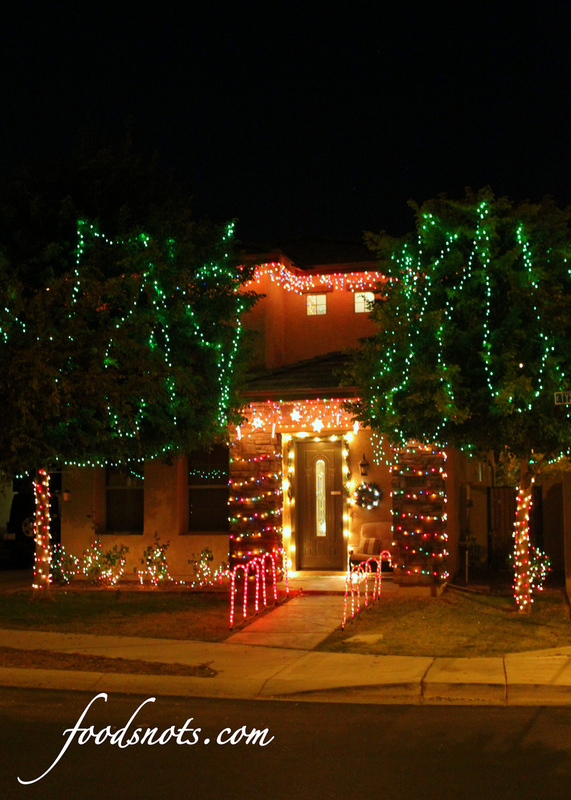 The inside of my house looks like Santa’s workshop, and here is the outside of my house. This took us pretty much a whole day to get these all up, but I’m super happy with it!! I love decorating for Christmas!! And really it only comes once a year, so it’s my thing to go all out. But, back to food. I figured it’s about time for a really healthy meal. This is my go to chicken when I have pigged out and need something that tastes awesome, but has the least amount of calories possible. This chicken is packed with flavor!! And this potatoes recipe was killer too. Both had lots of flavor, so it doesn’t make you feel like you are eating a low calorie meal. Which is important for me cause if it tastes low calorie, I only eat about half, and then I start eating the unhealthy stuff. Kind of defeating the purpose. But this is really satisfying, and you could even dunk the chicken in some of your favorite barbecue sauce if you are searching for something that feels just a little more like a comfort food. But it’s so yummy by itself too! Enjoy!! Take chicken out of the refrigerator and allow it to come to room temperature. Preheat the grill to a medium-high heat, about 350-375 degrees F (preferably over charcoal). Remove chicken from bag and season with garlic salt and pepper. Place chicken on grill. Cover grill and cook for about 20-25 minutes, turning chicken as needed so it doesn’t burn. Scrub the potatoes and cut in half lengthwise; place cut side up on an ungreased baking sheet. Brush with oil. Sprinkle with basil, onion salt and garlic powder. Bake at 400 degrees for 35-40 minutes or until tender. 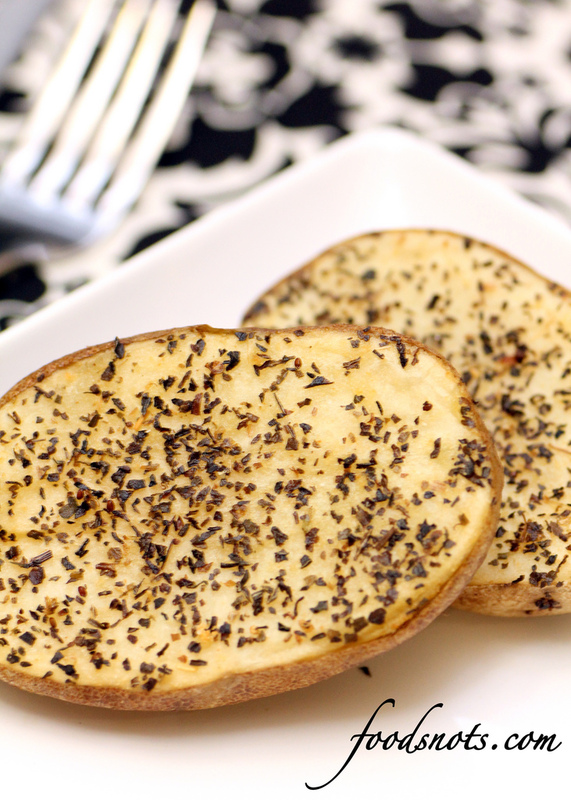 Seasoned Baked Potato recipe from Taste of Home Healthy Cooking.